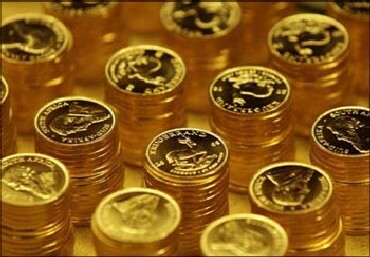 Rediff.com » Business » India has 18,000 tonne of gold in private hands! VP Nandakumar, executive chairman of Manappuram Group, speaks about gold, investing in gold, and taking gold loans. What started as a small pawn shop in 1949, today has 2,600 branches all over India with 26,000 people working for it. The turnover of the company is Rs 2,200 crore (Rs 22 billion) and it has assets worth Rs 11,000 crore (Rs 110 billion). Click NEXT to read on the interview. . . 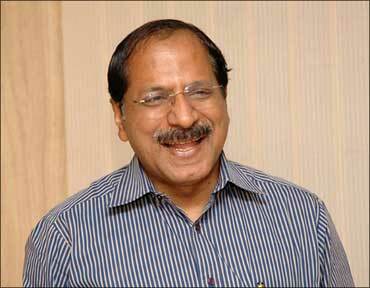 Image: V P Nandakumar, executive chairman of Manappuram Group. You had done a study on the way Indians look at gold, the first of its kind in India. What was the reason behind conducting such a study? Yes, Manappuram had commissioned ICRA Management Consulting Services (IMaCS) to study the gold loans market in the country and they came out with a report, 'Gold Loans Market in India, 2009'. This was a pioneering study; the first time that a scientific study of the gold loans market in India was carried out. Up until this point, there was just no authentic data available about the size and extent of gold loans market. Even with regard to something as basic as how much gold there is in India, we had only vague and conflicting estimates to go by. Yes, we all knew that there was more private gold in India than anywhere else in the world, but how much was not known. Were the results of the study on expected lines, or were there any startling revelations? Thanks to the study, for once we had some reliable data about things like how much gold there is in private hands in India, what is the size of the gold loan market, what is the share of the organised sector versus the unorganised sector, the break-up within the organised sector (commercial banks, co-operative banks, NBFCs, etc. ), what were the factors contributing to the success of the NBFCs in the business, etc. If there was one startling revelation, it was that as much as 65 per cent of India's private gold was held by rural India. 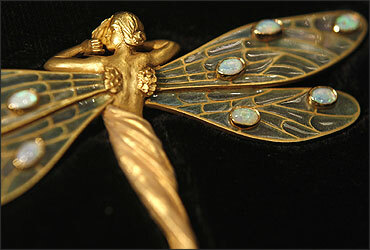 The popular impression has always been that gold jewellery is a luxury owned mostly by the rich. As the study revealed, this was not true at all. Another revelation was that 75 per cent of the gold loan market continues with the unorganised sector. With gold worth almost as much as India's GDP in individual's hands, is it not a dead investment for a country? Well, so long as all our gold is kept idle in our safes and vaults, it is indeed a dead investment. For instance, recent estimates by the World Gold Council say that India has close to 18,000 tonne of gold in private hands. When this gold is locked up in our vaults and safes, it is a drag on the economy because it effectively keeps billions of dollars in savings out of the financial system. On the other hand, when people borrow against gold, it generates economic activity; it actually contributes to our economic growth. And that is why we have been relentlessly pushing the case for gold loans because it is in the national interest. And the good news today is that thanks to the lead given by gold loan NBFCs, like Manappuram, a host of new players have been encouraged to get into the business. 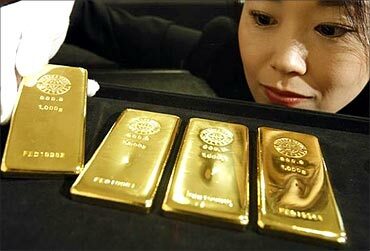 Commercial banks, for example, have suddenly woken up to the potential of gold loans and have been very enthusiastic. So, with all this activity, one can expect more idle gold to emerge and be put to productive use. 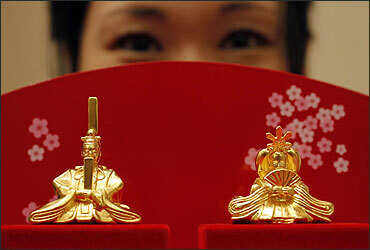 Is it only when people are in despair that they go to pawn shops with gold as the last resort? You can say this was broadly the attitude till the recent years. In fact, till very recently, gold loans were considered a loan to be taken only as a last resort and only in times of distress when nothing else worked out. And that was how the impression, or mis-impression, gained currency that gold loan providers profit from the distress of their customers. However, as insiders in the business, we have been aware of a great change that is taking place. 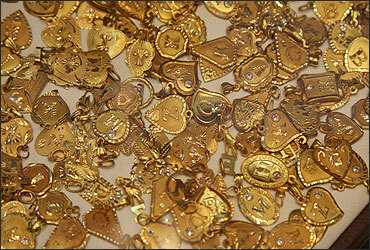 What is happening is that there is a steady shift in the profile of the typical gold loan customer. Today, about half of our gold loan customers belong to the farming and small business communities -- the traders, shopkeepers and the self-employed -- who use gold loans to meet the requirements of day-to-day business. These people also use gold loans for their exceptional needs, like the requirement to build up extra stock during a busy season. And it's interesting that even when they have access to credit facilities from the commercial banks, they continue to use gold loans for its flexibility and hassle-free experience. Today when the entire world is going through a recession, gold is described as the safest investment in India. 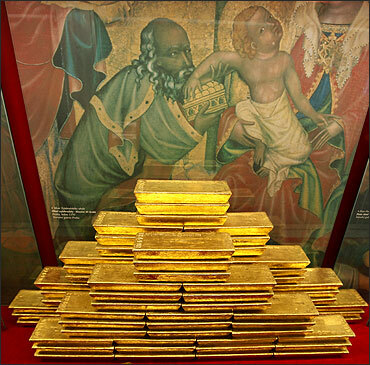 As a person involved in the gold business and gold loan, what is your opinion? I also believe that gold is a safe, long-term investment. If you look at the economics, the price of any commodity is determined by its demand/supply equation. Gold is very well placed in this context not only because the demand keeps increasing with rising aspiration levels, but also because the supply of gold has always been restricted. Existing mines are faced with depleting output and new sources are just not to be found. Thanks to all this, the basic economics of gold as an investment option is quite sound. In the Indian context, gold makes a lot of sense in an inflationary environment where the value of money keeps falling because the government is unable to keep its spending in check, and there's so much fresh currency being printed. Indeed, the same thing is happening in the United States and Europe as well and that has pushed up gold prices to historic highs. Gold price is going up exponentially. What do you think are the reasons behind such a huge rise? As I said just now, one reason is that when governments are unable to keep the fiscal deficit in check, they go in for a lot of money printing which debases the value of money. Naturally, the price of gold has nowhere to go but up. The other important factor is that with the economic troubles in, both, the US and Europe, the stock market has lost favour as an investment option. At the same time, the real estate market in these countries was already depressed, so with no viable alternatives, a lot of extra money has been flowing into gold (and other commodities) in search of a safe haven. My own sense is that a lot of the recent surge in gold prices has to do with the flow of speculative money. 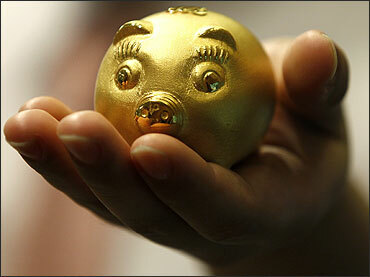 When gold price is so high, do people invest more in it and use it as loan? When gold prices keep rising and when people see no end in sight to the increases, yes, they tend to invest more in gold. The feeling is that prices will go up even more. However, I don't think increasing gold prices and increasing investments in gold are correlated to gold loans. No one takes a gold loan for the fun of it. There has to be a compelling need for it; after all, there is always a trauma associated with pawning your jewellery and we do it only when the situation warrants it. 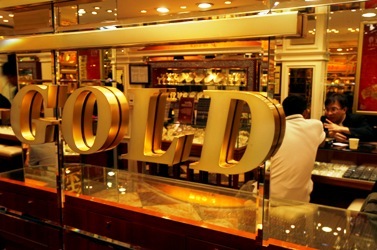 You are also into gold retailing. How do you compare the two businesses; gold loan and gold retailing? In what way are they related? Let me begin with a clarification. 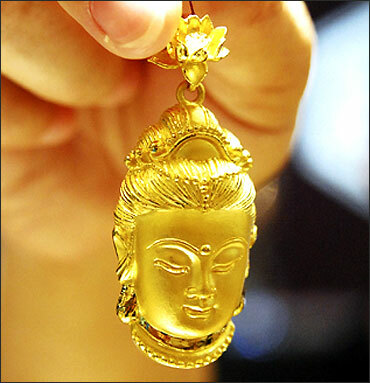 The Manappuram Group got into the business of retail jewellery only in the last couple of years and this business is completely separate from our gold loan business. 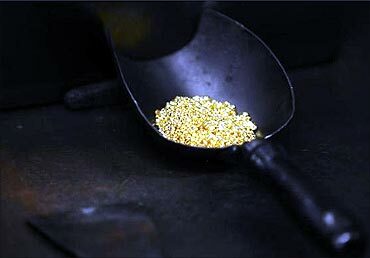 Barring the fact that both businesses deal with gold, there's very little of common ground between the two. However, I can confidently say that having been in the business of gold loans for so many years we have acquired an insight into customer tastes and preferences in jewellery across geographies, and this is something we have been able to capitalise on in the jewellery business. Further, just as with gold loans, the jewellery market is also dominated by small-time players in the unorganised sector. They often lack transparency and are not above short-changing the customer. For instance, it has been our experience in gold loans that very often, what customers believe to be 22 karat gold, turns out upon testing to be only 18 karat. And so, it was our reading of the market that the jewellery business should also have scope for organised players who can bring ethics and values to the business. 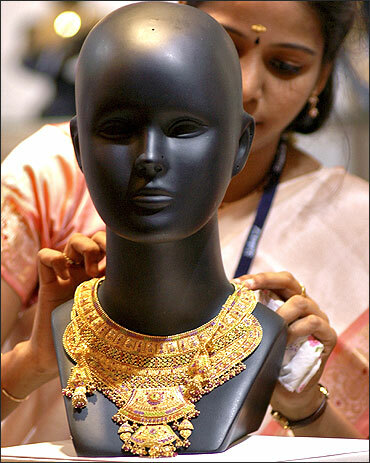 Unlike other nationalities, Indians are obsessed with gold. Why do you think it is so? I think it has to do with our history and culture. 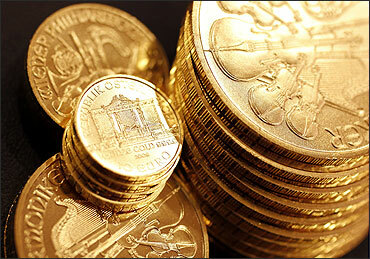 Gold has all along been a symbol of wealth and prosperity in India. Thanks to our culture, gold has become not only a desirable asset to hold, but also a necessary asset. It is an integral part of so many of our important ceremonies -- for example, a wedding where gold is always the preferred gift. Besides, gold has traditionally been a store of value that protects our savings from inflationary devaluation. If you look at India's record since Independence, we have frequently experienced bouts of high inflation and this is the case today as well. Besides, the inadequate reach of our formal banking sector means that in rural areas, especially among the financially excluded sections, gold is the only option to lock your savings in. Is there any difference in the attitude of Indians to gold from the time you began and today? If so, what is the difference? Gold continues to hold pride of place among Indian families, so there's been no change in that. 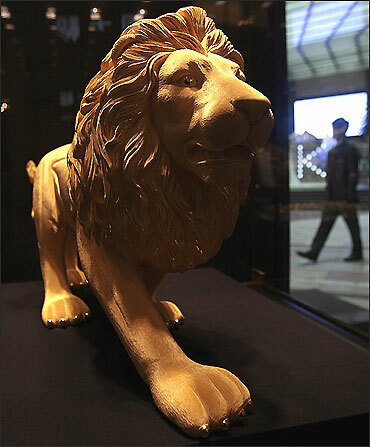 What is beginning to change in recent days is the attitude to gold loans. What used to be a taboo once, is now gaining wider acceptability.